MIXING PATTERNS CAN BE QUITE TRICKY. BUT WITH THE RIGHT GUIDELINES, YOU CAN BE A MASTER MIXER IN NO TIME. Start with a mood board. This will give you a general direction of what “mood” you want to accomplish, along with textures, style and color. It seems obvious but sometimes we forget that having everything laid out front of our eyes before hand is a great way to get ideas/thoughts organized. If its possible to have samples of fabric of what you are leaning towards, then definitely get them. Best to see the prints and patterns to scale. For starter’s, it is best to stick with two to three colors, and three patterns. Odd numbers seem to work best, one of which should be a neutral. Your first pattern should be your statement, or large patterned fabric. If your first pattern is a large floral, the second pattern could be a plaid or geometric shape that has some of the same colors. 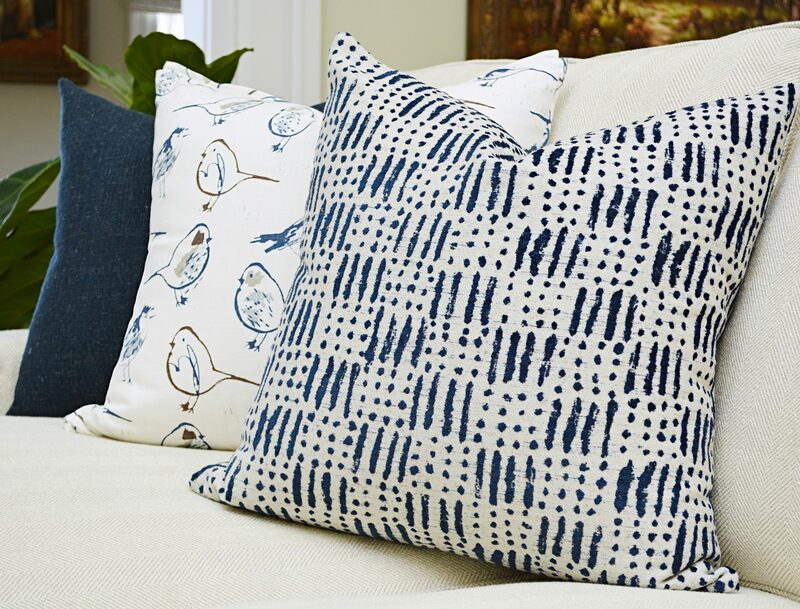 Keep the third pattern simple, we suggest using a tiny check or a printed texture in a small scale, and this could be used as a complementary pattern. The key in all of this is to pull colors from each pattern, to be able to combine them, and have it make sense, and also by have each pattern be in its own individual scale. You can apply these tips to anything from your bedding, to your entire living room decor, or anything that’s fabric that is.